The Interception Foundation (IF) strives to make a difference in the lives of young men around the world. We aim to use the principles taught in the sport of American football to teach leadership skills to boys in hopes that they become better students, teammates, and young men. IF seeks to maximize the platform of coaches throughout Europe and the world, to put them into a position to intercept boys and, by teaching them the lessons of American Football, turn them into young men and leaders. 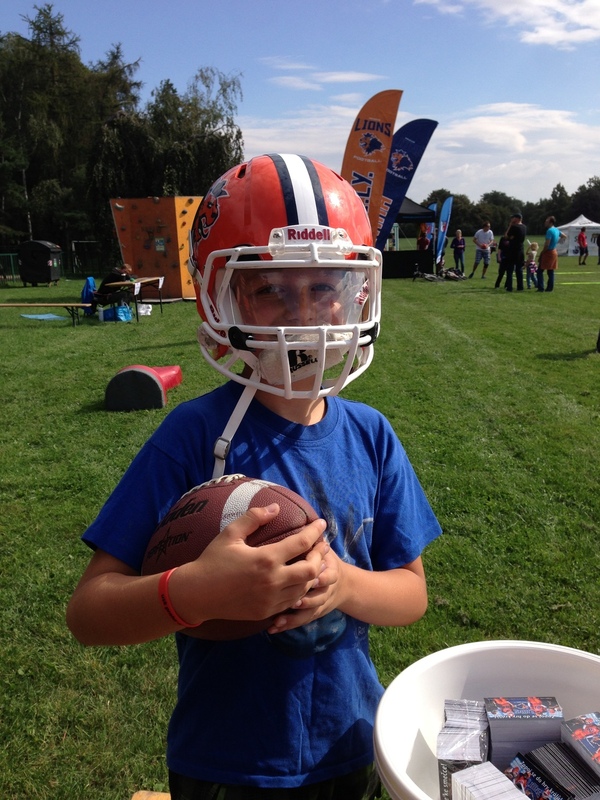 The Get in the Game initiative seeks to generate interest in American football by making the game more accessible to middle school and high school students in the Czech Republic. The current landscape of youth sports is very different in the Czech Republic than in America, as most sports are offered through clubs rather than through schools, and at a greater cost to participants. As a result, many young Czechs miss out on the opportunity to take part in team sports, either because their family cannot afford it, or because they simply don’t have a chance to try it. The goal of this initiative is to give every Czech the opportunity to learn the rules of American football and a chance to play the game. We plan to do this by putting flag football equipment into Czech middle schools and by implementing the game into the P.E. curriculum. In addition, we plan to hold middle school flag football tournaments to generate more interest and get more young people involved. From there, we will seek to eliminate the obstacles that a young Czech might face who is interested in the game, but lacks the means to pursue his interest. To do so, we have partnered with the Prague Lions, the oldest American football club in the Czech Republic, which fields teams at the middle school, high school, and professional levels (Czech Association of American Football). Our goal is to subsidize the costs of playing for athletes and to assure that the Lions have the resources necessary to provide young Czechs with the best possible football experience. Our goal for 2014 is to raise $60,000 to fund the Get in the Game initiative, and you can help us achieve that goal with your donation. We accept donations as a one-time gift, on a monthly basis, or even in the form of equipment donations that can help us achieve our objectives here in the Czech Republic. The Interception Foundation is a non-profit organization, which means that all your gifts to IF will be tax-deductible and will help make a HUGE difference in the lives of young men in Prague, Czech, Europe, and beyond! We eagerly await your response and look forward to discussing our future partnership.